His Earnings Increased by 50% Percent - How Did Rabbi Chaim Kanievsky Respond? The barber stopped working on Shabbat, and was amazed: His profits increased by 50 percent. Is it permissible to try G-d? What Did Rabbi Chaim Kanievsky have to say about the incident? 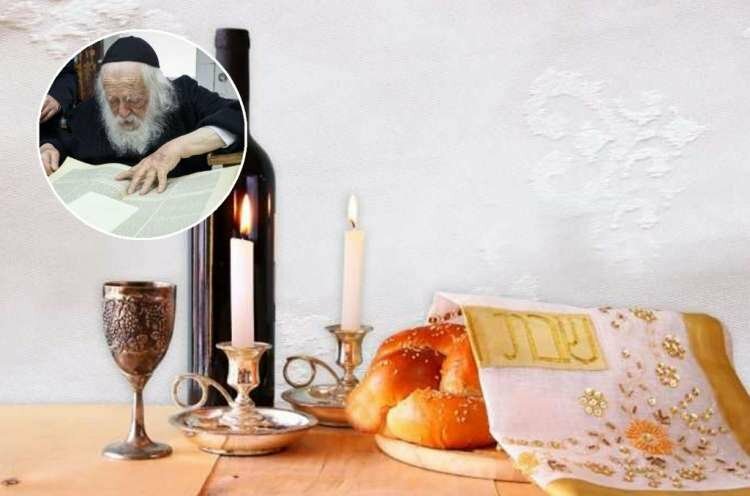 Rabbi Yitzchak Zilberstein said that when he once visited Rabbi Eliyahu Broide, Rabbi of the Ramat Hachayal neighborhood in Tel Aviv, Rabbi Broide introduced him to a Torah observant Jew with an interesting story. "This man," Rabbi Broide said, "was a barber by profession, who kept his salon open on Friday nights. When I asked him why he desecrates Shabbat so blatantly, he explained that many pilots from the air force live in his neighborhood, and since they are busy all week with their flights, the only time they can get a haircut is on Friday night. Therefore there is no way he can close the barbershop during these hours". Rabbi Broide added that he tried to persuade the man to close the barber shop on Shabbat for one month, and then calculate whether or not it caused him a loss. "I promise you that you will earn 30 percent more than you earned up until now," the rabbi said emphatically. The barber decided to give it a try. After closing the barbershop on Friday nights for an entire month, he realized that his profits had grown, not only as the rabbi said, but by 50 percent ... Since then he and his family have become Torah observant. Rabbi Zilberstein added: "I was very impressed by the story, and I wondered: Is it permissible to test G-d in such a way? After all it says (Deuteronomy 16:16) ‘you shall not test the Lord your G-d’. Though it seems, when it comes to sanctifying the name of G-d, and together with prayer, it is permissible to do so, as Elijah the Prophet did on Mount Carmel. Rabbi Zilberstein added that he approached his brother-in-law, the Holy Sage Rabbi Chaim Kanievsky with this question. Rabbi Kanievsky quoted a better source from Daniel Chapter 1: When the king said to feed Daniel bread, Daniel asked one of the ministers to feed him only seeds, suggesting a ten day trial to examine whether the seeds will sustain his body, just like meat. "We see that when it comes to sanctifying G-d’s Name it is permissible to test G-d. Especially when relating to Shabbat, which is the source of all blessing," concludes Rabbi Zilberstein.